#1 Have your child hand write a letter to their favorite mermaid (or Prince), asking about the environment they swim in or anything else mermaid related. 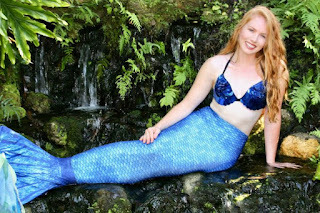 Visit our Mermaid roster page for a list of our current mermaids and Princes. Feel free to have your child include any drawings they may want to include. Please do not choose more than one mermaid or Prince to write to. Please be patient as we get numerous letters and it does take time to respond.